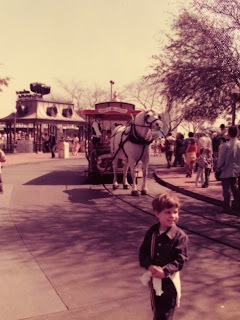 It's time for another Way Back Wednesday. 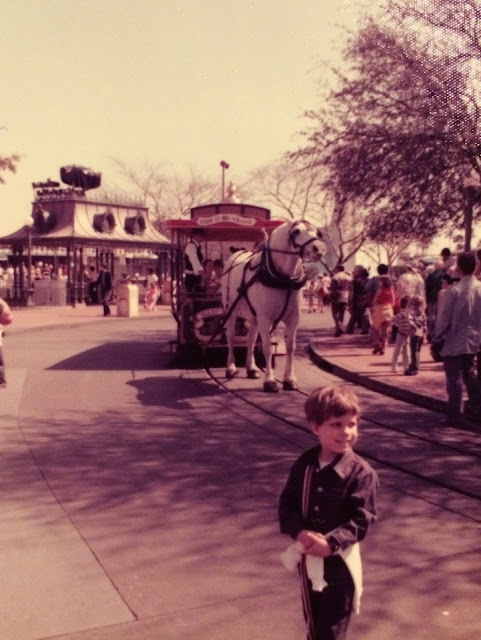 This shot takes us back to 1977, and the 5 year old version of myself standing in the Magic Kingdom hub. It is interesting to see the shade coming from the large trees. They were cut down years ago to provide for better fireworks viewing.